Two aides close to New York Governor Andrew Cuomo and six others involved in the state’s plan to bring Tesla’s solar panel manufacturing to Buffalo, New York have been charged with corruption, halting payment to the factory’s construction contractors for months. Governor Cuomo pushed forward an economic revitalization project called Buffalo Billion, with the state of New York investing $750 million into building Tesla and SolarCity’s solar panel production factory in Buffalo, New York. According to Business Insider, contractors working on the factory haven’t been paid due to corruption charges brought against former aides to the governor. ﻿Federal corruption charges were filed against two former aides close to Cuomo, as well as six other people, over the economic revitalization project in September, according to the New York Times. 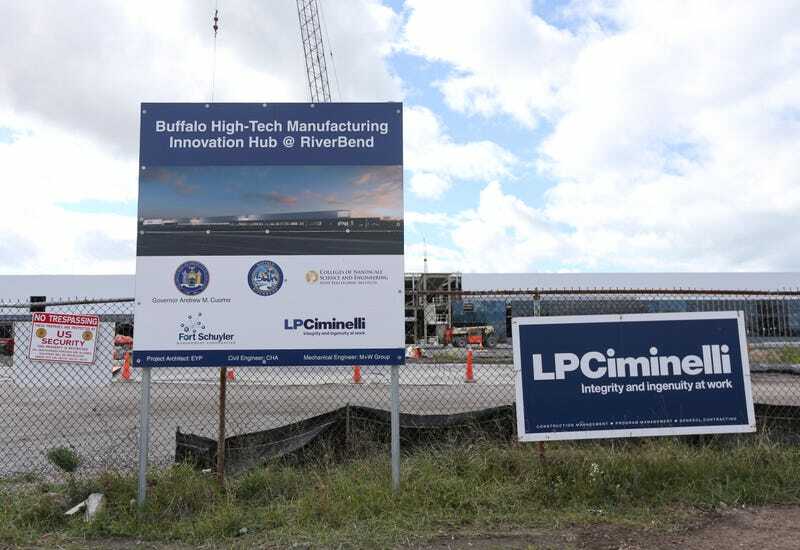 The complaint alleges that the state’s original request for proposals for the solar manufacturing facility was worded in a way that appeared to exclude all bidders except LPCiminelli. Louis Ciminelli, CEO of LPCiminelli, is known as a generous supporter of Cuomo. Ciminelli, along with his associates and relatives, have donated nearly $150,000 to Cuomo’s campaigns over the years. Construction of the factory began before Tesla’s recent acquisition of SolarCity as well as the company’s latest introduction of a Solar Roof. Tesla now plans to produce the roof panels and solar cells in Buffalo with partner Panasonic. It is unclear when contractors working on the nearly-completely factory will be paid. They were last paid in September for work completed in June, and Howard Zemsky, President of Empire State Development, claimed that the rest would take “additional time”, according to The Buffalo News. Tesla has a $150 million investment in the plant, but is not responsible for paying the contractors. Title originally read “Tesla Contractors” and was adjusted to “Tesla Plant Contract Workers” to avoid confusion.